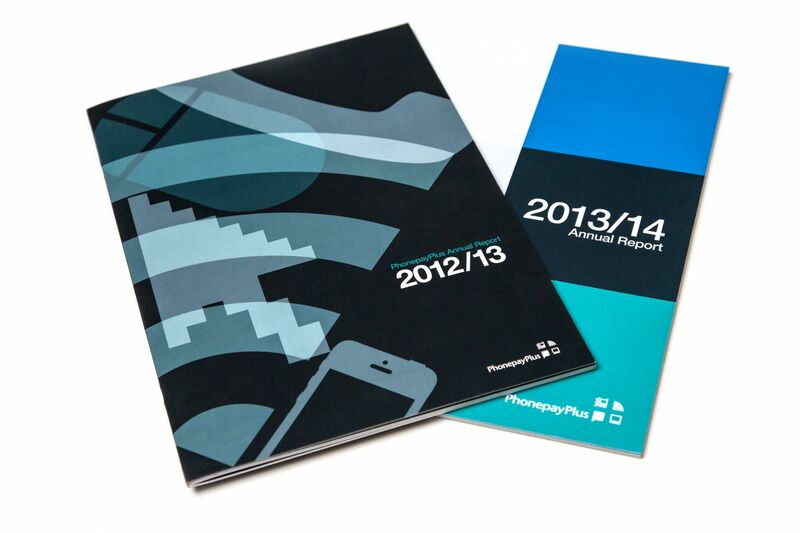 Every year we take care of the PhonepayPlus annual report design. The job of the graphic designer in the context of information design is to digest information, understand it, and then translate it into the most presentable and enticing form as part of a creative and structured visual system. Annual Reports contain rich information and statistics, but this brief required more of an editorial focus, pulling out key data that could be read quickly in the form of snippets, allowing the reader to flick through quickly, and delve into sections of relevance. 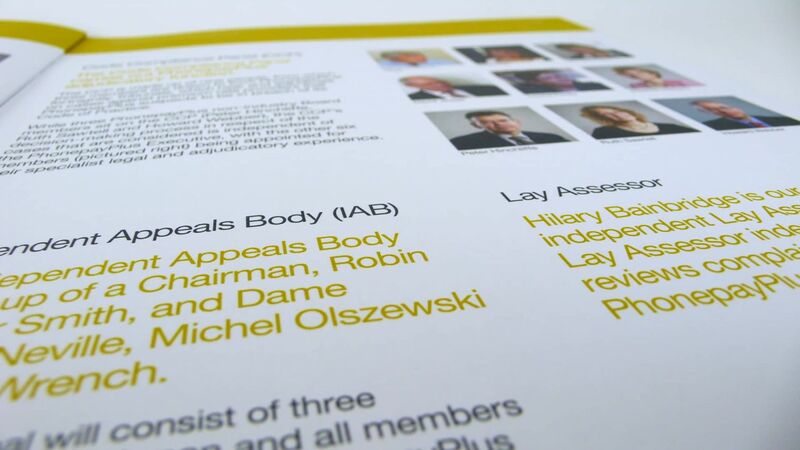 Therefore visual hierarchy was a key element in this Annual Report. The report is broken down into various sections that include large typographic introductions, followed by further summaries and quick-reading content. The main body of each section is typeset to a carefully considered grid system, and broken up with various pull-out statistics and insightful information. 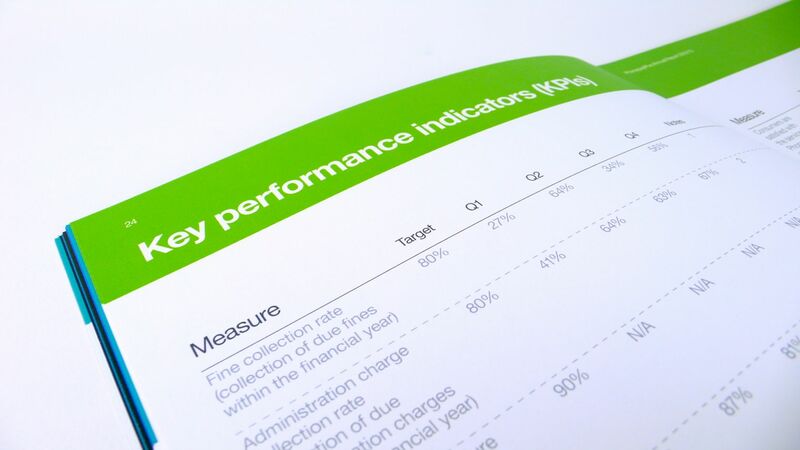 After successfully designing this report we managed the print run to ensure maintenance of high standards, flawless colour matching and print finishing right down to the finest details, and then sent out to the client via overnight, carbon neutral courier. 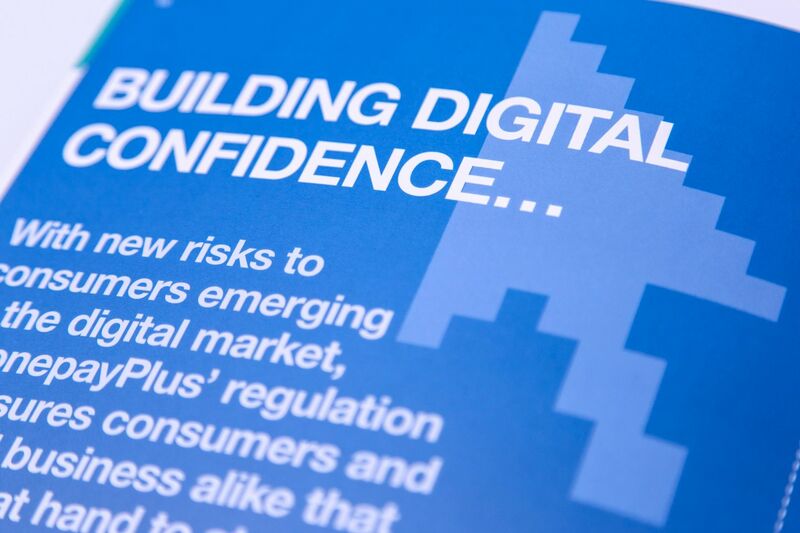 Visit PhonepayPlus to view the report.